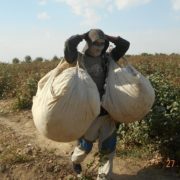 Forced to pick cotton, 28-year-old Dilarom Juraev, living in the Makhalla Mustaqillik in the Zarbdar district of the Jizzakh region, lost her baby in the sixth month of her pregnancy. 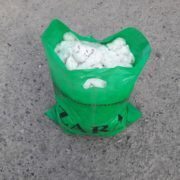 Local residents said that Makhalla activists had forced the pregnant woman to pick cotton. The involved officials however tried to blame the family of the young woman for the incident. The young woman lost her baby in her sixth month of pregnancy while she was forcibly harvesting cotton, told one of the residents of the Zarbdar district to Radio Ozodlik (Uzbek service of Radio Liberty). According to the source, the incident occurred a week ago. 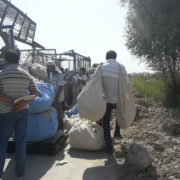 “The chairman of the Mustaqillik Makhalla made the young woman, who was six months pregnant, go and pick cotton. He told her: ‘If you do not go to pick cotton, we won’t give you any child allowance.’ In addition to making her pick cotton, the chairman of the Makhalla sent an officer of the police department to her place. He told her about different policies and frightened her. The woman lost her baby on the first day of the cotton harvest. I still cannot get over it, because I saw everything that happened with my own eyes. I want the chairman of the Makhalla and the police officer prosecuted” – said one of the local residents witnessing the incident to the Radio Ozodlik reporter. During the coverage of the topic, the Radio Ozodlik reporter managed to speak with residents of the Zarbdar district and found out the name of the young woman who had the miscarriage. According to local residents, the victim is called Dilarom Juraev. 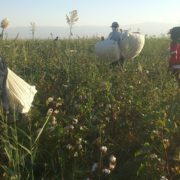 “In the morning we were taken to the fields byWe started to pick cotton, and after a short time Dilarom was in labor. Hearing this, the chiefs started panicking. Consequently the chairman brought Dilarom to the district hospital with his car. According to what we heard, Dilarom’s conditions were serious, and the doctors sent her to the regional hospital. When they arrived at the hospital the woman has had a miscarriage. They said it was a boy. After hearing what had happened, her mother-in-law cried a lot. The woman said that she was prepared for celebrating beshik-toyu (celebration devoted to the birth of the child – Ed.). Dilarom left the hospital on the same day, and the body of the baby was brought home. The woman has already been discharged from the hospital, and she is at home now” – said one of the residents of the Zarbdar district in an unrecorded interview with our radio reporter. He also said that the day before the tragedy happened, the chairman of the Makhalla, Ismail Latipov, and the representatives of authorized organizations went from door to door to make local people pick cotton. “Near Ismail gathered local police officers and representatives of the Khokimiyat. In total there were five of them. They said that every family had to send at least one person to the fields. They said it was an order from “above” and that everyone was obliged to follow it. These officials told mothers receiving child benefits that they would not receive any more money if they did not pick cotton” – told one source living in the Mustaqillik. The Radio Ozodlik reporter called the chairman of the Makhalla Ismailov Latipov and asked him to comment on the incident that occurred with 28-year-old Dilarom Djuraeva. According to Latipov, he and several district officials had visited her home the day before she went to the fields. However, the head of the Mustaqillik Makhalla denied that he had forced the pregnant woman to pick cotton. According to him, she and her family are the ones to be blamed for the incident. “We did not force her to pick cotton. Her husband and his two brothers are unemployed. We went to their house to inform them about the beginning of the cotton harvest season so that they could earn some extra money. Then Dilarom Djuraeva expressed the desire to go to the field, since she wanted to spend some time outdoors. Nobody forced her to go. She expressed the desire to go. When I talked to her mother-in-law, the woman told me: ‘We are not expecting anything from anyone. My daughter made a mistake – said Ismail Latipov, chairman of the Mustaqillik Makhalla to the reporter. However, sources of Radio Ozodlik living in the Mustaqillik Makhalla, said that Dilarom Djuraeva’s family made this statement only after the district authorities had paid them a visit. “The deputy khokim (governor) visited them personally. 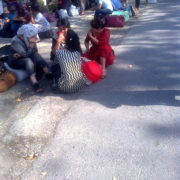 In addition, people from the police came as well. In order to avoid a scandal, they talked to Dilarom’s family members and tried to calm them down. 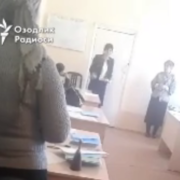 Now the woman’s relatives say that they have no one to blame but themselves” – told a source living in the Zarbdar district in the Jizzakh region to the reporter. In an interview with the Radio Ozodlik reporter, the husband of Dilarom Djuraeva Fakhriddin Abdusalomov said that his wife’s miscarriage had nothing to do with the cotton harvest. “Cotton has nothing to do with it. It all happened at home. You received the wrong information. Now she is at home” – said Fakhriddin Abdusalomov. He did not let our reporter talk to his wife. 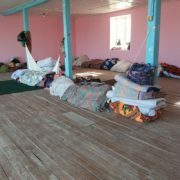 According to the data obtained from the Zarbdar district in the Jizzakh region, as a consequence of the incident, the district authorities have suspended sending pregnant women to the fields. This applies even to women who are only 1-2 months pregnant. We have been reported of numerous cases where local authorities threatened young mothers to cut their child benefits, if they refused to pick cotton.